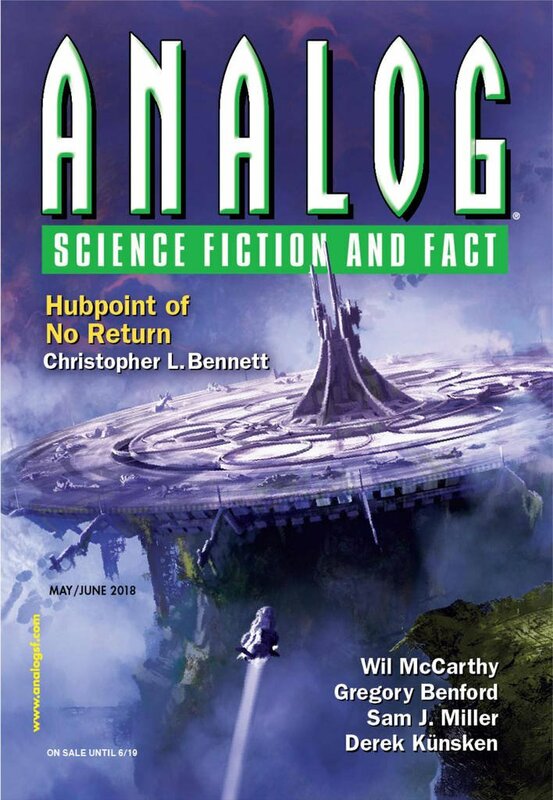 "Shooting Grouse," by Ian Creasey [bio] (edited by Trevor Quachri), appeared in Analog Science Fiction and Fact issue 05-06|18, published on April 19, 2018 by Penny Publications. Pro: It’s fun watching how the three “sabs” interact with each other, improvise when they meet problems, and struggle to balance life vs. activism. It was pleasing to see that Stella wasn’t so absorbed that she couldn’t make time for her new girlfriend. Con: Although the author claims he tried to show both sides, the story heavily favors the sabs. The message doesn’t ruin the story, but it does take some of the fun out of it.